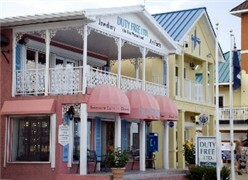 Grand Cayman is one of the most popular western Caribbean ports for cruisers. It was hammered by Hurricane Ivan in 2005 and sustained hefty damage. But today, the island is back and better than ever. Freshly painted buildings, newly rebuilt structures, improved tourism facilities and friendly locals make visiting here a breeze. Editor Susan J. Young traveled to Grand Cayman on Carnival Freedom and offers gleanings on her touring.